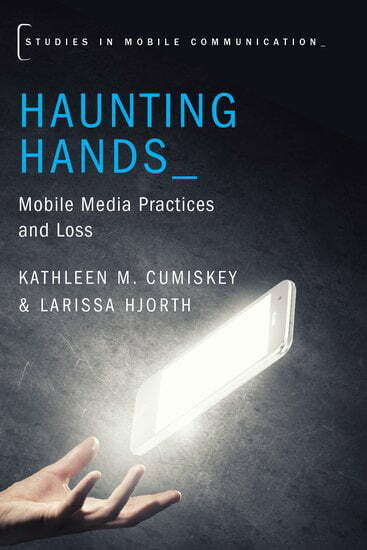 Haunting Hands looks closely at the consequences of digital media’s ubiquitous presence in our lives, in particular the representing, sharing, and remembering of loss. From Facebook tribute pages during public disasters to the lingering digital traces on a smartphone of the deceased, the digital is both extending earlier memorial practices and creating new ways in which death and loss manifest themselves. The ubiquity of digital specters is particularly evident in mobile media spanning smartphones, iPads, iPhones, or tablets. Mobile media entangle various forms of social, online and digital media in specific ways that are both intimate and public, and yet the use of mobile media in contexts of loss has been relatively overlooked. Haunting Hands seeks to address this growing and important area by helping us to understand the relationship between life, death, and our digital after-lives. Kathleen M. Cumiskey is Associate Professor in the Department of Psychology at the College of Staten Island – City University of New York. Since 2003, Cumiskey has studied the social psychological consequences of the use of mobile media. Her work has been published in multiple journals (Feminist Media Studies, Media Asia) and as chapters in edited volumes (The Handbook of Psychology of Communication Technology; The Routledge Companion to Mobile Media). She is also the co-editor, with Larissa Hjorth, of the volume, Mobile Media Practices, Presence and Politics: The Challenge of Being Seamlessly Mobile (Routledge, 2013).